Modtissimo in Porto was a great success. For two days, there was a vibrant atmosphere both at the exhibition centre and in the whole town of Porto. 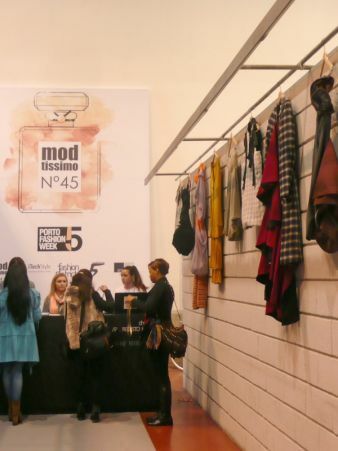 Modtissimo is in fact the only trade fair for the Portuguese textile and fashion sector. Opening its doors on 25 to 26 February and running concurrently with the 5th edition of Porto Fashion Week, the event was a huge success. People from all over Europe but also from Asia, the United States and Russia came to view a whole host of new materials and collections, all made in Portugal. With visitor numbers up on the previous event, the exhibitors were generally happy with the overall outcome. They showed the latest textile trends, trimmings, Private Labels for men, women and children and, last but not least, lingerie. The fair was rounded off by seminars, conferences and presentations. The large number of young people interested in the textile sector was deemed very encouraging. Their presence gave a sense of the future and of curiosity, and brought a vibrant atmosphere to the show. 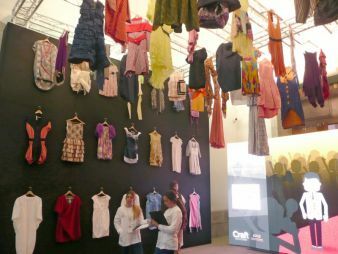 This year, Porto Fashion Week was made up of five events: Modtissimo, iTechStyle Innovation Business Forum, Fashion District, 5 Continents and the launch of the celebrations marking the 50th anniversary of ATP – the Portuguese Textile and Apparel Association. The 5th iTechStyle Innovation Business Forum was once more an excellent showcase of technology and innovation for the entire Portuguese apparel sector. Messe Frankfurt was also present, exhibiting at its own booth. One of the three information points at iTechStyle focused on Portgual 2020, which is all about new investments and sustainability. The Fashion District successfully brought together 25 of Porto&#146;s trendiest shops. This appears to have been a relatively easy task as the whole town of Porto is “waking up”, with little shops, amazing restaurants and small bars springing up all over the city – all initiated by young people. “Portugal is looking forward,” stated a German visitor at the end of the fair, underlining the younger generation&#146;s great efforts as they continue to invest in new business ideas. All this is set against the backdrop of the country&#146;s long and illustrious history - also in the clothing sector. Portugal is famous, among others, for its cotton manufacturing. During Fashion Week the ATP celebrated its golden anniversary. Founded 50 years ago, the Association is still very important for retailers, fashion designers as well as new talents from the Portuguese colleges. The Portuguese manufacturing industry has at last found its way again in the new world of fashion and is able to finish a new collection and bring it to market within a very short time frame of less than a month. Most Portuguese clothing factories are located in and around Porto. This means short transportation routes from the manufacturers to the finishers.